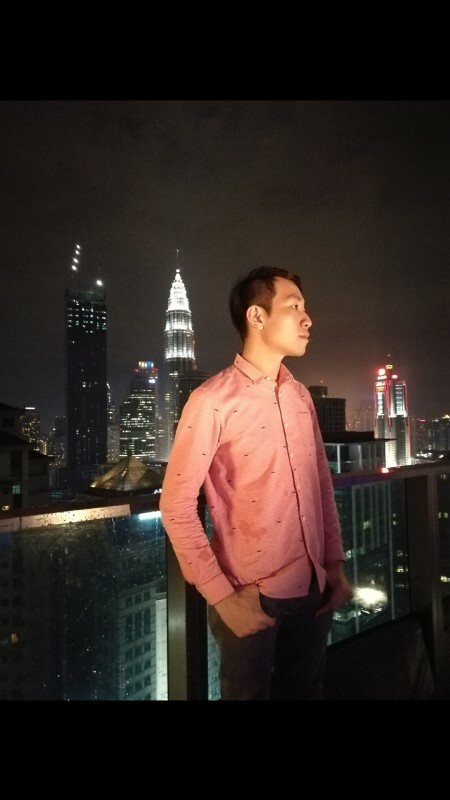 Fellow WA buddies, I'm Chris Chong (ChrisCee1028 is my nickname on WA) from Malaysia, a country located in the South East Asia region. It's a great country to visit with diversified ethnics and multi cultural experiences to explore! Especially the tropical islands that our country is world renowned for! Well, I'm new to the community(joined as a STARTER member during May 2017, back in action by early of June 2018), I've been working on my side projects & took some time off, much to learn from the fellow experts here, looking forward to gain "tonnes" of value from the community and buddies who are willing to lend a helping hand by contributing their most insightful tips and advises, "what works and what doesn't work" in the internet marketing world, in specific the affiliate marketing sector. I knew about internet marketing/affiliate marketing about 5 years ago (bought an affiliate marketing training program founded by a Taiwanese internet marketing guru). The program was conducted in Mandarin (Chinese Language), I gave up on following the lessons & working out on my blog back then, after discovering I've actually got scammed(despite all the content I've created, mostly in Chinese, I hardly get any traffic to my blog, no traffic = no revenue = couldn't monetize my works $$$). They didn't really teach how to gain ORGANIC TRAFFIC by leveraging the power of KEYWORDS (SEO). The content is rather outdated (there's no constant update), as you all know, the world is evolving fast (especially the world of internet). It didn't seem to work for me (felt like I've made the wrong decision back then). I was really a super newbie back then (my incompetency in choosing the right affiliates training platform). After involving in the construction industry for several years & constantly seeking for business opportunities, I felt that I'm still in LOVE with the AFFILIATE MARKETING industry (the whole making money online & working anywhere concept with literally our LAPTOP/TABLET plus a STABLE & SECURE internet connection), without needing to have HUGE SUMS OF INITIAL CAPITAL INJECTION or should I say Venture Capitalists ;) , but haven't really knew how to RESUME with the whole journey AGAIN, thanks to my "daring" senses which has kept me doing research ONLINE for the BEST LEGITIMATE training platform to learn everything as regards to the industry. Thanks to certain veteran WA marketers like VitallyG, Nathaniell, Ian Pribs etc (couldn't remember all the WA marketers names). Thumbs up for these folks who has showed me the way towards WA! Note: I'm not a tourist guide :) Just trying to "refer" my home country to the buddies who have not been to the country yet or don't really have a clear idea about the COUNTRY. Very interesting Bio you have here. I've been to Kuala Lumpur once, however, I didn't stay long, it was just for my Chinese Visa. One day I will go back there for sure. I visited your website, very interesting. The only advice I would give you it's perhaps spending more time on finding a good theme that has all the tools you will need in this business. Free themes are good, however, they will never be as good as a paid theme with all the functionalities and great support. When you have time perhaps you should learn more about Thrive Themes, it looks like you're pretty good on the Tech Side, your site is very clean. Thanks Calvin for dropping by & reading my BIO. YEAH, had an interesting life & career journey. A lot of bumps, trials & failures before I discovered WA. I was still skeptical when I signed up as a free member back then. Didn't know would it work for me. Alright I'll take your advice for the paid themes. I've did some research in thrive themes & several premium themes provider like genesis & themeisle (using its free theme at the moment), but I think I'll go with paid themes by MyThemeShop. Let's see how it goes. All the best to you too mate! You're a little like me, Lol. I also had a lot of "failures", I won't exactly say failures as it brings me here in WA. And I like tech. Choosing the right theme is very important, take the time to do some researches. Read reviews about the best themes to use. The most important is to not forget that you will have to install many plugins with some themes to get the job done. In Wordpress, it's wise to install only about 5 to 8 plugins. Loading speed is also something you should consider when choosing a theme. The codes these themes deliver should be as clean as possible. Working with a theme that has all the plugins include is a good idea, you know what you can expect. Don't hesitate to read and watch reviews and training, there's some very good training on Wordpress on Youtube. You can see which themes they're using. I don't want to push people to buy this or that, anyway I don't provide Affiliate Link here at WA. It's just I spend some time trying out different things and now I found what I believe the best set of tools to work with. I tried Divi for a year, for example, if you ask me what is the best theme 3 months ago, I would say Divi without any hesitation. However, recently, I realized Divi is not for me. Having opinions from people with more experience is a must. It has open my eyes a lot. Don't hesitate to spend some time on that matter, it will help you a lot in the near future and save you a ton of time and money. I can tell you have more than enough will power to become a success entrepreneur! I’ve been scammed in the past as well, but we can see it as an opportunity. An opportunity for us to learn and to grow. What doesn’t kill us, makes us stronger. Yeah Eric! Liked your quote SOO much! Sometimes it might be "the scams", sometimes the problem could lie within us, inability to take consistent and massive actions. Cheers to you my buddy! Wish you GREAT success within WA. CRUSH THOSE GOALS you've always wanted in LIFE. All the best in your WA journey. PS: You may follow me via my G+ personal profile. Brian, just finished reading your post. It's an interesting topic, love the fact that you're relating a current trend / news to the message that you want to deliver within your content. Couldn't agree more with the point you've mentioned, success is an accumulation of small wins over & over again! Congrats again for getting your recent blog posts ranked as top 10 posts within WA. Thanks Chris, WA is the place where we can get lots of small wins, over times, lead to success in the future. All we need to do is hard work and be persistent. Wish you a success in WA. Hello Chris and Welcome To Wealthy Affiliate. Since you joined last year and with your experience up to now you will perhaps think that internet marketing can be a steep learning curve. hey Robert, thanks for dropping by and saying hi. Ya indeed I've joined WA since may 2017, but I was "missing in action" for nearly a year in the industry and WA. No probs Chris and if/when you read my blogs make sure you choose the ones that will help you in conjunction with whatever training you are currently taking. thanks Keisi! I'm ready to achieve more after learning from the masters here, thanks again for the encouragement! by the way what does WAU stands for? Wealthy Affiliate University. This is where you will learn from the Best system to grow your new career. Please complete ALL of the Get Started Here lessons as they are designed to assist you in building your new career on a firm foundation one that is meant to last. Good Bio Chris, full of excitement and positivity, it made for an interesting read. thanks Mark! wish you continuos success in your online business endeavours too! Hello Chris,♫Welcome! I am so pleased you found WA. Nice to meet you ツ I wish you a lot of learning pleasure and fun at WA. Thank you for adding me to your network. We're here for each other...! You're curious about people... you're gonna be huge!! Most people do not realize that everything around us is conducive and 'made' for us... roads, buildings, trucks... even the air - it's all about people. So, anyone who notices people has a tremendous edge on things. Be you, brother. Everything you want is downstream!! thanks for the compliment! your comments truly made my day! Stay focuses on people... You'll do great! yup, I'm finally back on track Ian! Well Chris, you're a little over a couple of weeks into your free membership and I wanted to check-in one last time before communication within the WA community is gone for good unless you become a premium member (that happens on day 17) so if you have any lingering questions or something that I can help with, now would be the time to ask! If you have any questions just let me know and I'll do everything I can to help. Hey Chris, when you first joined Wealthy Affiliate through me I mentioned a bonus if you upgrade to premium within the first seven days. I just wanted to let you know that I'm now giving that bonus to all members regardless of what day they upgrade, so if you decide to take the leap and get really serious about your internet business and working through the lessons here at WA, I'll make sure to send it your way as soon as you upgrade. I hope everything is going well! As always, let me know if you need anything. Hey Chris, how's everything coming along now that you've been a member for a few days? I hope you've found your way into the "Get Started Here" training toward the top of the menu on the left and that you're enjoying yourself so far! profound advice for an overwhelmed newbie like me! thanks alot! No problem at all, Chris! Happy to help any way that I can! Hey Chris, I was just scrolling over a few things in my dashboard and saw that you signed up a few days ago but haven't completed your profile yet. Is there anything I can help you with? I hope you've at least enjoyed a little bit of the content and community that's come together here!